Brief: EI Productions has been one of our best collaborators and has always come up with interesting challenges for us to tackle. This time, Neale had the concept for a frame to house 25 PAR 64 lights on the back of the stage. The design brief required the frames to be movable while on the tour and setup easily and quickly once on stage. Solution: In case of the light pods, 3D scanning of the PAR 64 lights, 3D modelling of the frame and rendering of the final product made it an easy decision for the client. 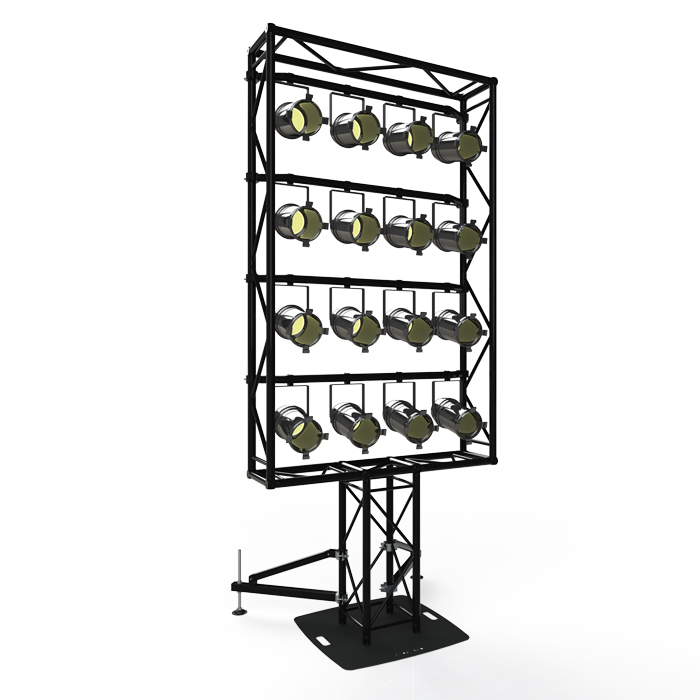 Following the same design principles, a F42P style truss rig was designed, including a few custom parts to house the lights. 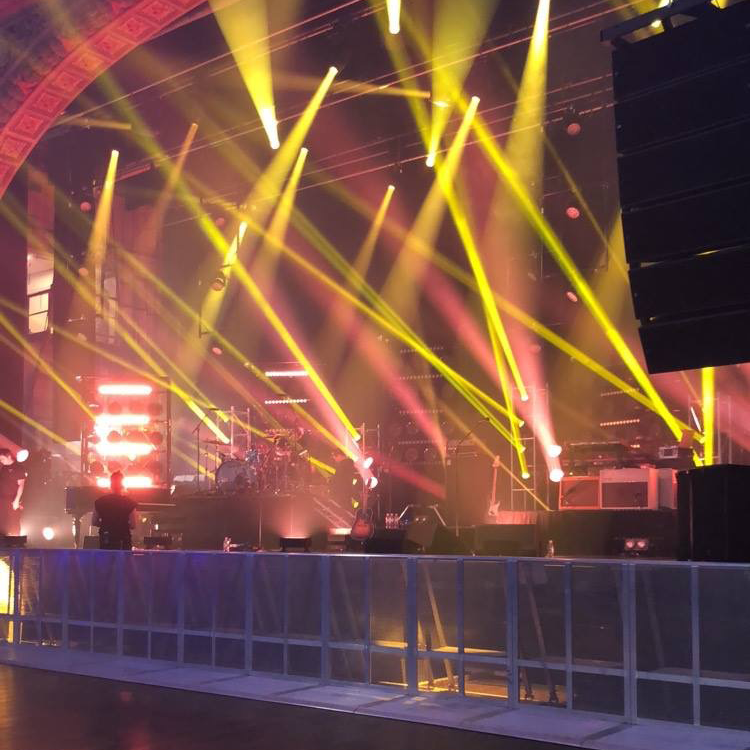 The result was so impressive, visually and functionally, that it was approved by both EI Productions and the lighting designer straight away. As Neale Mace from EI Productions exclaimed, “It was approved very quickly as it was just what the lighting designers were looking for”. A quick R&D turn-around was critical for the light pods to meet the deadline and be operational for a scheduled tour around Australia. As expected, the pods were delivered on time and were assembled with no issues. Carrying so many lights pre-rigged and pre-wired means you can easily roll them out of the truck directly to the stage with minimal effort. To quote EI Productions, “The moveable (or removable) internal bars allow for heaps of flexibility in what lighting can be used in them” and above all, “They’re good looking”!